Without our amazing adopters, TCR volunteers would not be able to rescue the kitties in need. 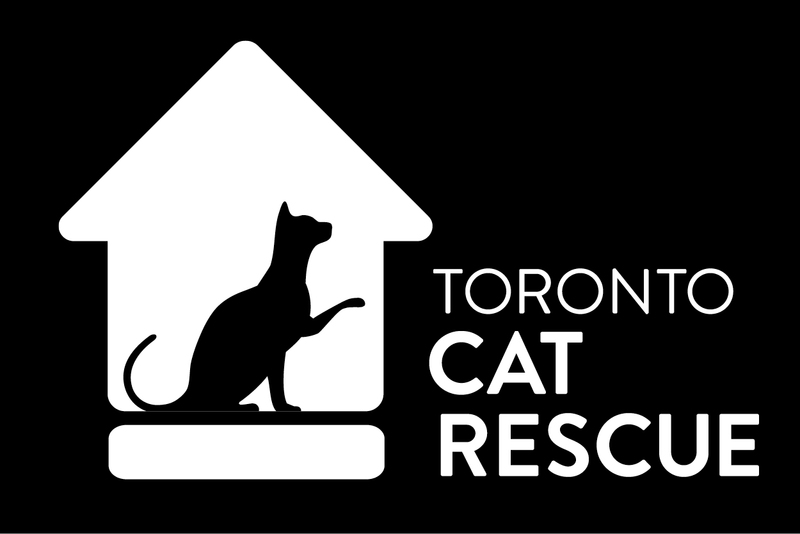 Toronto Cat Rescue is often the only hope for a homeless, abandoned, sick or injured cat. We help cats escape situations of abuse, neglect, or imminent euthanasia. We see some terribly sad cases, but happily many of them have positive outcomes thanks to all the caring cat lovers who adopt from us. Enjoy our gallery of “Happy Tails”. Whether you adopted your kitty yesterday or years ago, we would love an update on your family. To have your story posted on our website, please submit your Happy Tail to Michelle – TCR.HappyTails@gmail.com and include: your kitties TCR name, picture and an update. You could also post a quick update in the “Comments” section on this page. Note: Please click the “Permalink” link under the image when viewing the gallery to read more about the kitty pictured. My husband and I adopted our beautiful little weirdo, Kassia, in November 2014 from the TCR and she was definitely the best choice for our home! We were looking for a companion for our elderly male cat (Ozzy) who is the boss / dad of our home (but was a little lonely without a cat friend, after his sister died a few years earlier). We were intrigued by Kassia’s adoption summary describing a senior cat that really, really loved interacting with other cats and was a bit of a “nut”. And after just over a year with her, we can honestly say that her personality (LOVING all other cats, drooling and “barking” when excited) is the best fit for our family and that she is now Ozzy’s BFF (much to his frequent frustration). Thank you TCR for providing Kassia a safe foster home in which to live before her time with us! !